Customized cable assemblies can be used to avoid confusion in the switch cabinet. 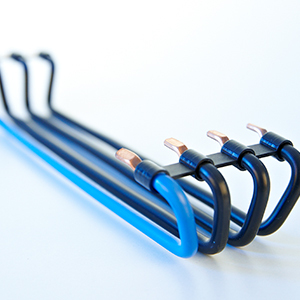 Flexible wiring bridges, with fork terminal, wire end ferrules or ultrasonically welded ends on both sides if required, can be made in advance individually. In addition, FTG supplies one- to four-pole row connectors.